Harthill Community Church is a village church with a Kingdom mandate to reach the region and the Nation with the Good News of the Gospel. We are very much a Word and Spirit people – a people of His presence. To fulfill this mandate and more, we have a dedicated leadership team led by Pastor Hugh Clark working to achieve God’s glory through the church. Currently there are 2 men who work with Pastor Hugh in providing Leadership and Ministry in the church. They are William Curle (Leadership Team), and Allan Weir (Ministry Team). Here they are ably accompanied by their wives. William and Barbara reside in the village and have been members of the church for many years. They have two daughters; Deborah, who is the church treasurer, and Melissa. William is a successful businessman and has been managing his own engineering company for 24 years. Because of his business acumen, he plays a vital role in the church in the practical and factorial aspects. His commitment and industry is well recognised and appreciated. William has a gentle spirit which has won him the affection of the congregation. He has a pastoral heart which is evidenced by his care for the people. He gave his heart to the Lord as a child and as a team player has served on the Leadership for at least 15 years. He is the senior member of the leadership team serving alongside Pastor Hugh. He is able to bring a historic dimension because of his long standing association with the church. Barbara serves in the Children’s Ministry as a Sunday school teacher. Both Barbara and William are committed to the wellbeing of the work in Harthill. 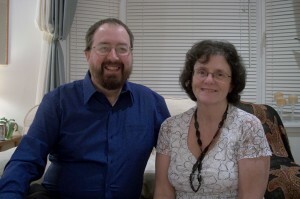 Having been involved in leading several churches in Edinburgh, in 2008 Allan and Anne moved to Livingston. 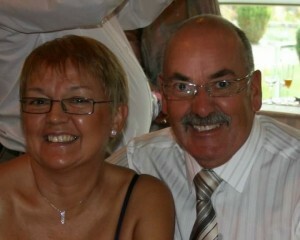 The following year they came to Harthill to work alongside Hugh and Susan. Allan’s role is as part of the Ministry Team and touches a number of areas but in particular leading services and teaching. Anne plays more of a supporting role, is involved with Alpha courses and is part of the prayer ministry team. She also has responsibility for some of the church administration. Their desire is to see the Church continue to grow and experience and express the Kingdom of God in increasing measure. Allan and Anne have one son and two grandchildren. Allan’s interests are cooking, motorcycling and watching motorcycle road racing. Anne works as a medical secretary and her interests are sewing, gardening and travel.